International Mindedness | What is "international-mindedness"? What does it mean in education? How do we work towards it? What is "international-mindedness"? What does it mean in education? How do we work towards it? What is your interpretation of this quote? What the implications for the way we teach? 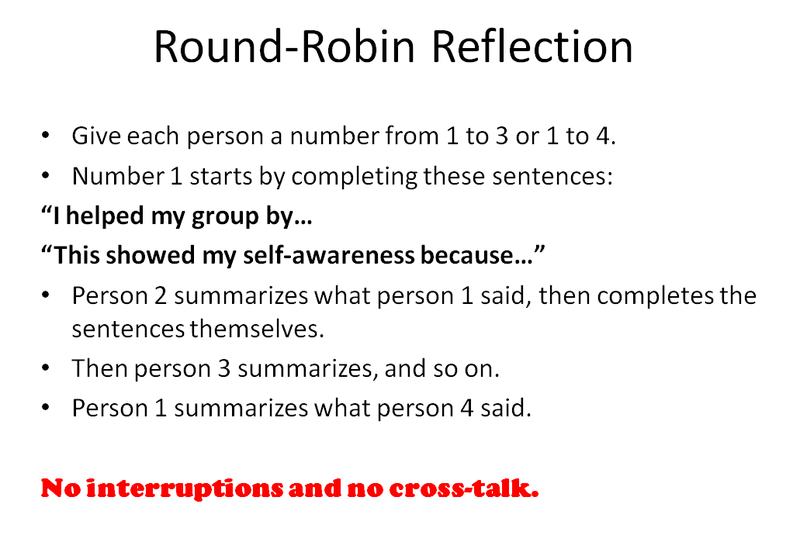 Bill and Ochan Powell introduced me to this fantastic strategy for reflection on the way we collaborate (and also just the way we speak and listen every day!). Try the strategy at the end of meetings. Try it in your classrooms. You can change the sentence starters! I really liked the diagram below. What do you think of it? 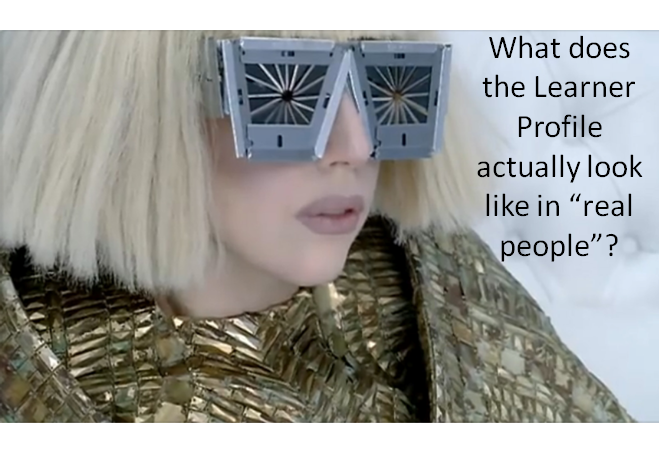 I asked the participants at this workshop to look at well-known people, icons, heroes, anti-heroes, villains, idols etc… though the lenses of the Learner Profile. Which attributes does each person truly demonstrate? Which attributes do they not demonstrate? 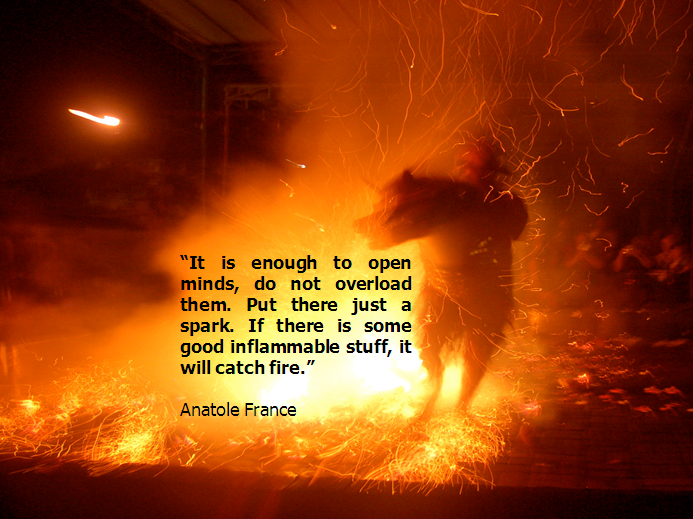 How much of that is based on opinion, perspective and context? It’s interesting isn’t it? And, what about us… the models, the people our students are “looking up to”. Which attributes do we consistently demonstrate… or not demonstrate? This fascinating video about Mirror Neurons really makes a valid point about where the Learner Profile starts, with us. A colleague of mine, Tony, came across this fantastic graphic during an in-school workshop I ran here at NIST. 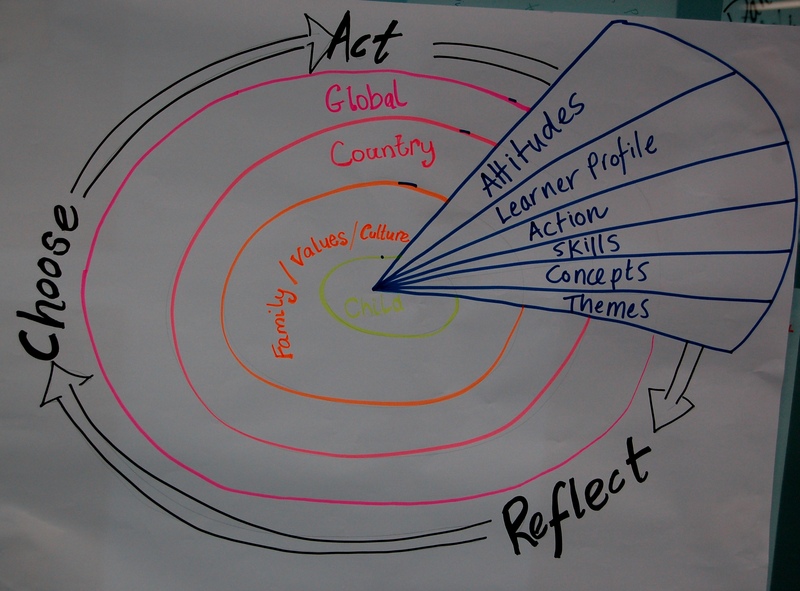 It was a Making the PYP Happen workshop and Tony was conducting his own inquiry into the Learner Profile. He presented this image to the group and we stood around it, interpreted it and discussed it for quite a long time! 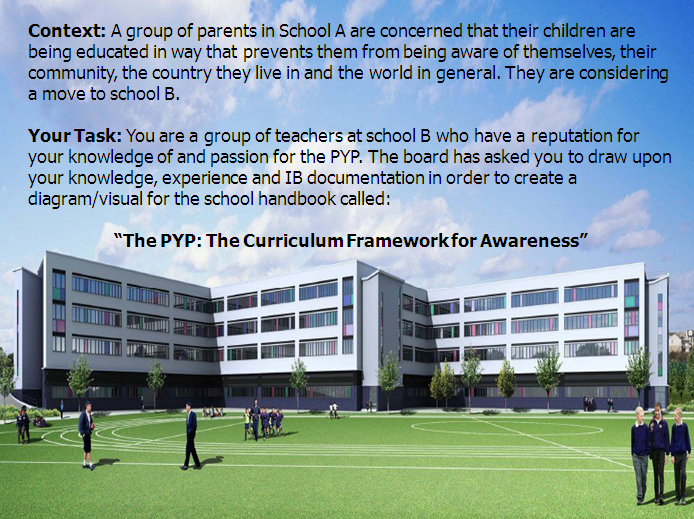 I decided to use the image again in this workshop in order to provoke conversation about the Learner Profile and the relationship between the Learner Profile and the PYP Attitudes. How do you interpret this graphic? Could it be used in your school? Could it be used in your classroom? Could it be used in planning? Once, my Dad and a friend of his were traveling in Mindanao (a violence-stricken island in the South of the Philippino arhipelago). 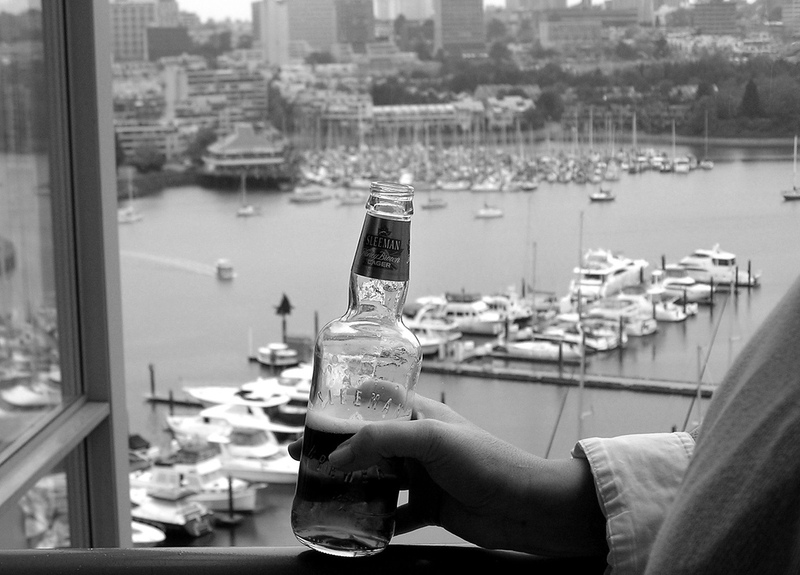 They were staying in a hotel in the main city on the island and were having a few beers on their balcony. Dad’s friend became quite animated about something, made a big gesture with his arms and sent the bottle flying off the balcony and on to the balcony below (the exterior of the hotel resembled rice terraces). They looked over the balcony to see a terrifying sight: a humiliated general of the local military rubbing a bump on his head and wiping beer from his dripping face. To make things worse, he was surrounded by a large number of soldiers who had their guns trained on the faces of the two foreigners peering at them! Moments later, the door was knocked in and Dad and his friend thought they were facing certain death. “I apologize a mllion times,” said my dad’s friend and then bowed down in front of the general who had no option but to accept the apology. The general graciously accepted, they all became bosom buddies and the two lucky foreigners were escorted to the airport by a military convoy the following day. I think this is a fantastic illustration of international-mindedness. My Dad’s friend fully understood the value of face and what he needed to do in order to “give face back” to the disgraced general in front of his subordinates. Someone less aware of the culture he was in might have been less confident, might have gone on the defensive, might have made poor excuses or might have become haughty and superior about the “fuss over nothing”. Have you got any similar stories? When planning this workshop, I really wanted the participants to leave with something that they would remember, that would permeate the way they think and would help them with planning for teaching and learning that promotes international-mindedness. Teaching is a highly complex job with a myriad of different approaches, tools, resources and strategies to everything we do. When browsing the professional section of my school library, I even found a book that contained 1000 photocopiable masters for making your classroom “more international”! I was determined to see things more deeply than that, and to do that I needed to present something powerful to the participants. 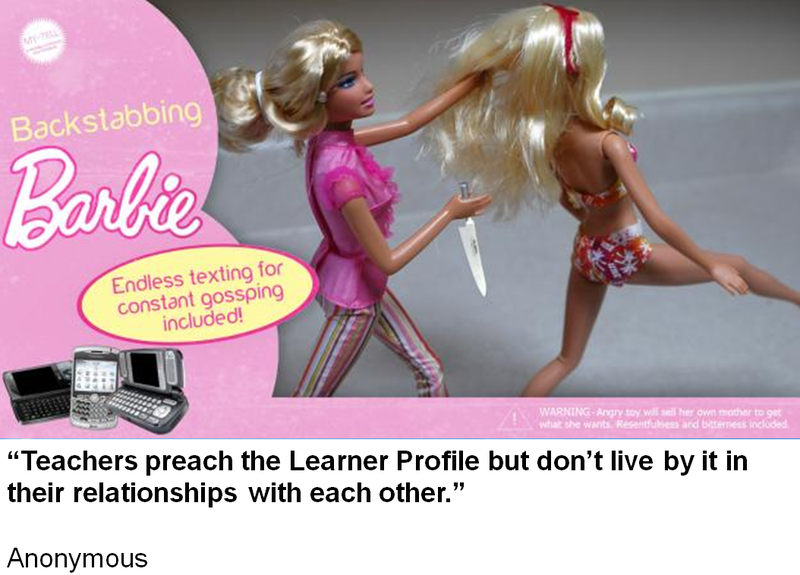 Students are provoked using a variety of sources such as videos, websites, literature, guest speakers and so on. This could be on a global issue such as fishing practices or human trafficking. Teachers then guide students through the process of making connections that bring the issue closer to the student until they can make connections with it that are personal, and therefore meaningful. An example might be the fish that they eat and where it comes from, or the people that work for their family or in their community. Students are encouraged to reflect upon their own experiences, feelings, beliefs, values, passions, talents and so on. They are then guided through the process of making connections that enable them to understand that they are part of a complex world in which many people think, feel and act the same way. An example of this might be a student who is upset by the use of plastic bags making connections that lead them to global organizations working to reduce the amount of plastic bags consumed per year. 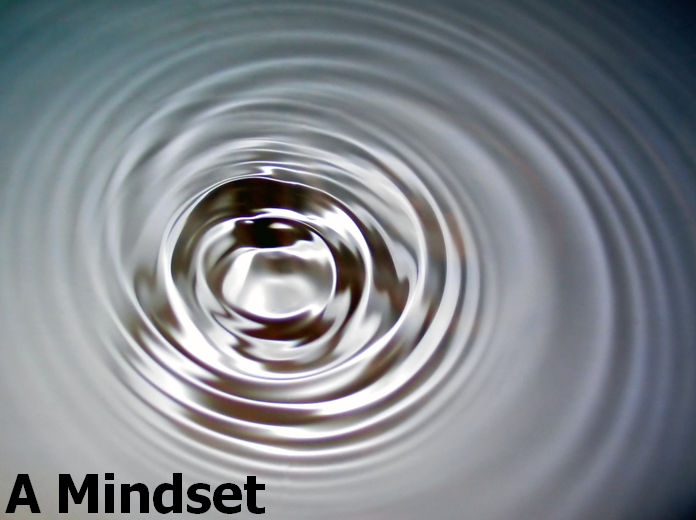 The mindset really helped me to see how often teaching remains in only one zone, never coming further inwards than knowledge of the global, or never progressing beyond the personal. Two boys decided, through the process of working out what was important to them, to focus on Autism for their PYP Exhibition – one of them calls himself an “Aspergian” and the other is his friend. This could be a journey inwards as the two students consider a number of global issues before deciding to focus on something that is highly personal to them. Or, it could be a journey outwards as the students focus on themselves and then start to make connections within their community and beyond. Or both! Either way, these two students have had the chance to inquire into something that is highly meaningful to them, they have clearly been empowered by the experience and will undoubtedly continue to work on this issue in the future. “It’s who I am”.